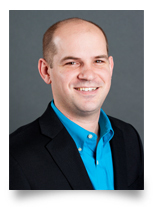 Dr. Eder is currently a Lead Consultant with The Center for Organizational Excellence, Inc. He has over 13 years of experience as a strategic management consultant and organizational evaluation specialist. He has worked across government agencies and private sector organizations, partnering with clients to use metrics and data to assess program success and guide strategies for improvement. Dr. Eder is also a certified program evaluator and regularly applies a four-level framework to help organizations continuously assess and improve the performance of their most visible programs. He has presented at top tier conferences and published peer-reviewed articles and papers on strategic planning, employee performance, and creativity. Dr. Eder is a certified Project Management Professional (PMP). He invented the Socially Balanced Strategy Framework. 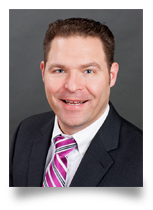 Dr. Fred Panzer is currently a Lead Consultant with The Center for Organizational Excellence, Inc. Dr. Panzer has over 11 years of experience designing and implementing Organizational Development and Strategic Human Capital solutions for a variety of government and private sector clients. Dr. Panzer has led numerous consulting efforts and has developed a solid reputation for delivering high quality services and programs that help organizations acquire, develop, and retain their top talent. He has a background in Industrial-Organizational (IO) Psychology and extensive experience in the areas of strategic workforce planning, competency modeling, competency gap analysis, job analysis, 360 feedback, change management, employee satisfaction/engagement surveys, employee selection, performance management, recruitment, and training needs analysis. Fred has a PhD and MS in IO Psychology from Florida International University. A socially balanced strategy forces planners outside of their comfort zones so that they pay attention to "rational" perspectives they may usually ignore. Let's put our personal biases aside for a day and see how our organizations can achieve the innovative possibilities inherent in the development of socially balanced strategies. You are rational, your leaders are rational, and your coworkers are rational. But you all may have different ideas and never see eye-to-eye. Your ideas are so right - why can't anyone else see what is plainly the best thing to do? It may be time to seek social balance in your organization and your life. What does this mean? Everyone is socially biased - this is not a bad thing. To make sense of our worlds, we take certain mental shortcuts, especially when faced with ambiguous situations. These shortcuts help us to quickly make seemingly rational decisions, but they also expose us to risk - most notably a risk of closing our minds to different, equally rational perspectives. We all have social perspectives but without a keen awareness of others’ potential perspectives, certain strategies, initiatives or actions can just seem wrong! Let’s find what’s right in each other’s perspectives. organization’s strategies and your own life. Register online, or to pay by check, download a registration form and mail to CBODN, 1325 G St. NW, Suite 500, Washington, DC 20005. For registration questions, please contact CBODN Support. *Refunds will not be issued within 48 hours of an event as catering and other event related costs are associated with registration at that time.